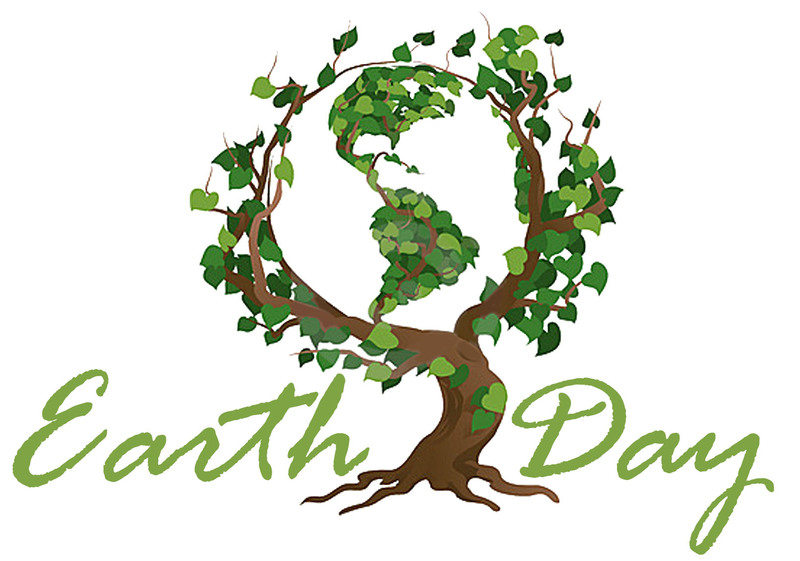 Officially kick-starting an environmental movement in 1970, Earth Day was a product of the hippie and flower-child culture of the time. Before this movement was underway, the term “environment” was rarely mentioned in the news, discussed, or thought of as an issue. The air pollution from booming industry and automotives filled with leaded gas created a smell in the air that was accepted by Americans to be of prosperity and the American Dream, not of chemicals, sludge, and toxins. Wisconsin Senator, Gaylord Nelson, proposed Earth Day after witnessing the devastating oil spill in Santa Barbara, California in the year of 1969. Nelson wanted to bring the idea of environmental protection into public consciousness and did so by announcing a “national teach-in on the environment”. In turn, Americans filled streets, auditoriums, everywhere protesting the unintentional deterioration of the environment on April 22nd, 1970. Today, another campaign is spreading through the country regarding clean energy and global warming. There are many ways to encourage ecologically healthy habits and Berea College does just that. Luckily for it’s students, Berea is an incredibly eco-friendly place to get an education. Berea was the first in Kentucky to have a LEED-certified building, to build and operate an Ecovillage, and have the most ecologically sound dormitory- Deep Green Residence Hall. Not only do our buildings prove our efforts of sustainability, but the college really attempts to help and encourage students to be as “green” as possible. Throughout campus there are multiple recycling bins, found in buildings, out of doors, and in dorms for students, faculty, and town patrons to use. Buildings contain motion sensor lighting and plumbing to eliminate excessive use of electricity and water. 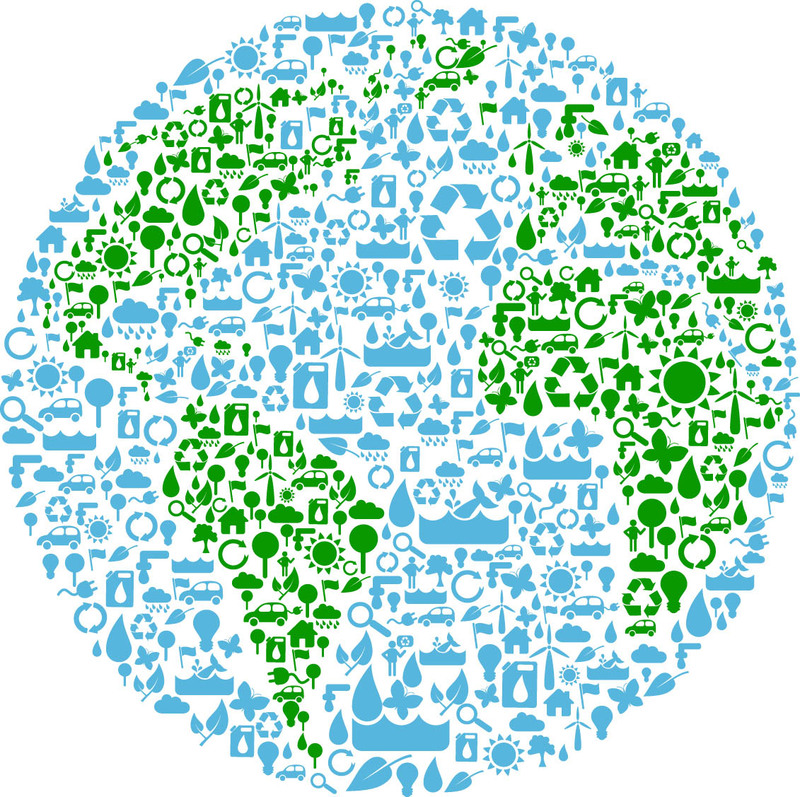 And all people are educated on sustainability and given many opportunities to decrease their carbon footprint. This Earth Day, however, we want to motivate you to go above and beyond. Knowledge is power and Hutchins Library has a new mini-display up (currently in the Reference section, but will be moved next to the printers) to provide you with intelligence on any subject related to the earth- environmental law, global warming, health effects of the environment, environmental politics, environmental activists, and much more. Be sure to get involved with Earth Day somehow! Research it. Recycle more. Volunteer. Walk more, drive less. Eat local. Go to a festival. Practice the 7Rs (Reuse, repurpose, rot, repair, return, refill, refuse). Organize an event in the community. Change a habit. Help launch a community garden. Communicate your priorities to our elected representatives. Do something nice for the Earth, have fun, meet new people, and make a difference. But you needn’t wait for April 22! Earth Day is Every Day. Committing to the earth year round is the only way to make a huge difference. One of the specimens on display. The library is featuring a display of weed specimens by students from SENS/ANR 386C (Weed Management) class. 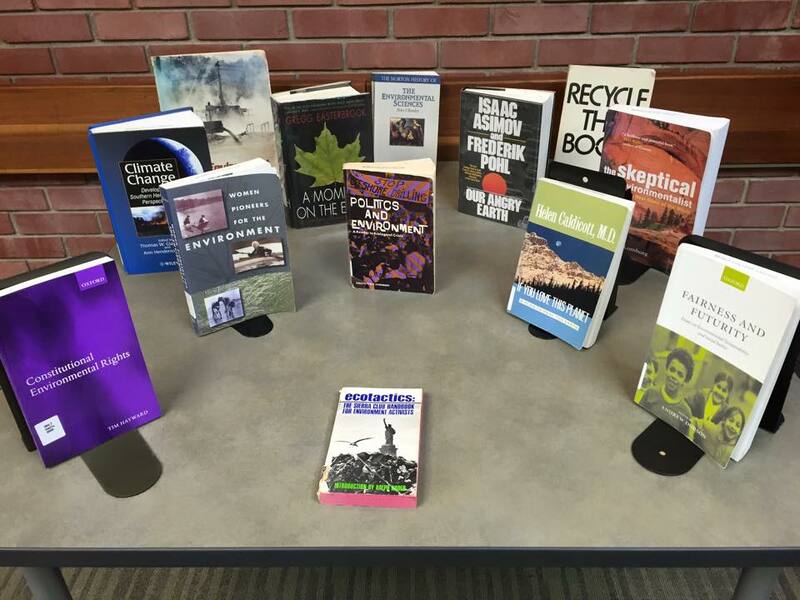 The display is located right next the Reference Desk by the library’s main entrance. It will remain in place until about the end of January 2014. A weed is simply “a plant out of place.” In Weed Management (SENS/ANR 386C), students have learned weed identification and management skills for lawns, vegetables, orchards, field crops, woodlands, and pastures. Each student submitted a weed collection of 30 weedy plants pressed, with guidance and materials from Professor Emeritus Ralph Thompson, and mounted (with glue) on acid-free paper. Plants are identified by family name, common name, and scientific name, along with the date collected, the location, and the name of the plant collector. Samples like these are kept in a herbarium, which is simply a library of plant samples. Berea College hosts two herbaria: a small herbarium of weeds in a cabinet in Goldthwaite 304, and a larger, more significant collection on the second floor of the Science Building. Herbarium specimens can yield a wide variety of data: plant geographic distributions, historic dates of flowering and seed set, genetic data, and phenotypic variation (leaf size, shape, flower traits, etc.). 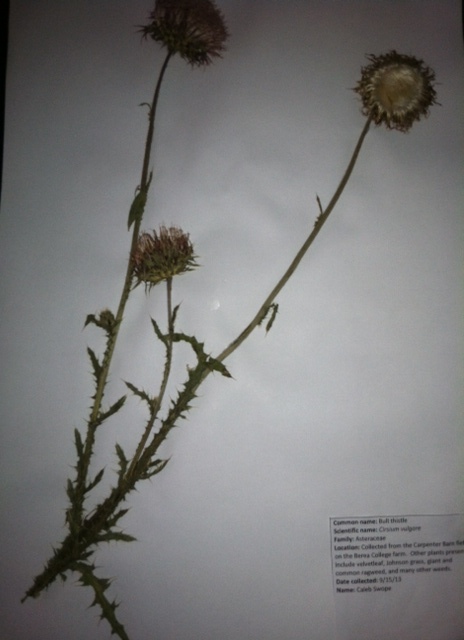 Climate change can be tracked using herbarium specimens, as can the spread of invasive plant species. Students in Weed Management took care to show both sides of the leaves, to press flowers with their reproductive organs visible, and to mount the plant to best demonstrate its growth form in the wild. Coincidentally, the specimens are also beautiful – a fact which challenges our notions of the distinctions between weeds and cultivated plants, or between weeds and wildflowers.